We had a bit of blow down last week. 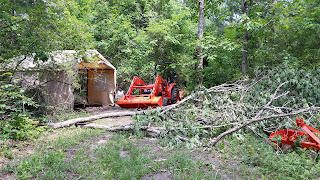 We were lucky in that this large limb did not come down on our tractor garage. 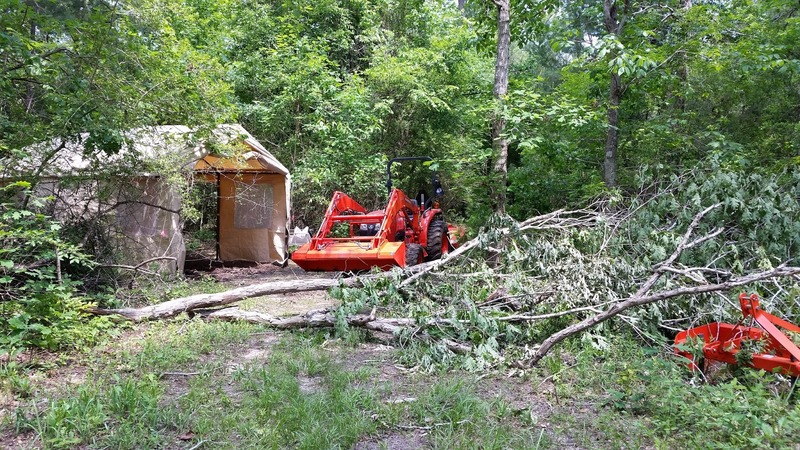 Thankfully, I have a tractor and a chain saw to help with the cleanup! 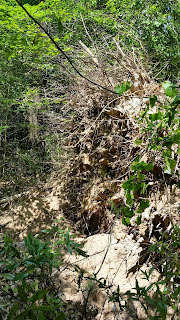 When we went down to take a look at Turkey Creek, we came across this big blow down. 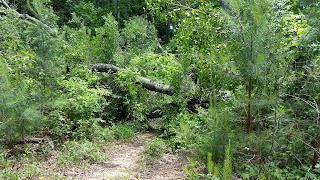 My little chain saw was NOT up to the challenge. 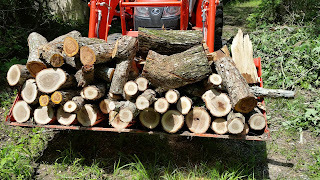 It's difficult to tell from the photos, but this was a large tree. 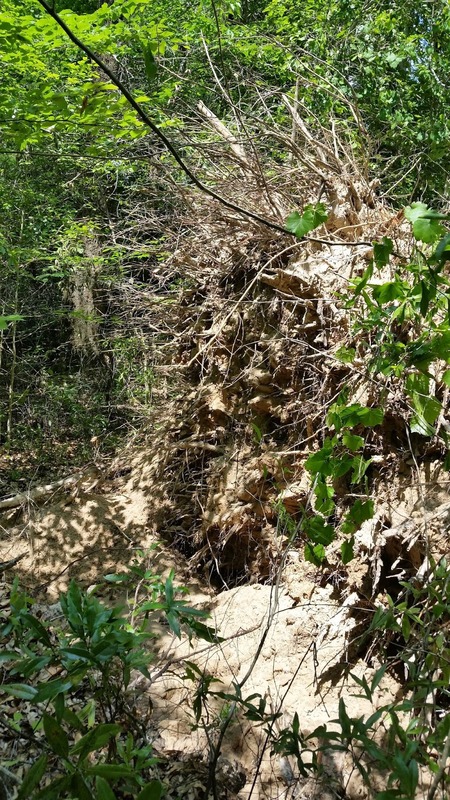 The root area was easily eight feet across.